Love these new sea glass and resin earrings. 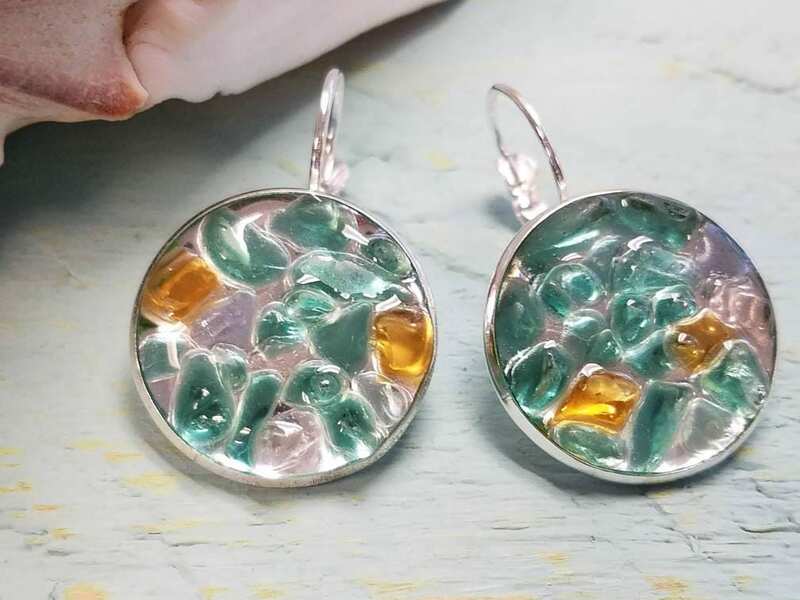 Tiny pieces of real sea glass and embedded in clear resin. They look like little pools of water. The sea glass is aqua, clear and yellow in color.